Grant limitations under the state’s Civic and Community Center Financing Act would be expanded under a bill considered by the Urban Affairs Committee Jan. 23. 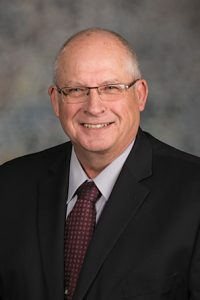 LB940, introduced by Henderson Sen. Curt Friesen, would clarify that property receiving a grant under the CCCF Act must be owned by the municipality and cannot be sold within five years of receiving a grant. The CCCF fund is supported by a turn-back of 30 percent of new state sales tax generated by arenas constructed under the Convention Center Facility Financing Assistance Act and the Sports Arena Facility Financing Assistance Act and retailers near the arenas. Grants from the fund are awarded to communities based on a project’s readiness, financial support and likelihood of attracting new activity to Nebraska. Friesen said that expanding access to the fund would assist smaller communities that otherwise would not be able to afford significant community projects. “Without these types of grants and help, it would be a difficult task,” he said. • from $250,000 to $375,000 for cities with a population of less than 10,000. The bill also would expand engineering and technical assistance grants under the CCCF. The grant limit would be increased from a range of $2,000 to $10,000 to between $3,000 and $15,000. Current law provides that grant limits may increase if the fund reaches $2.5 million, until a $1 million balance remains. LB940 would increase this range to $3.75 million until a $1.5 million balance remains. • From $375,000 to $562,000 for cities with a population of less than 10,000. The period that a municipality must wait between grants awards would be reduced from five to two years. The bill also would specify that the state Department of Economic Development give priority to applications from municipalities that have not received grant funds within the last 10 years. The bill would expand the list of eligible CCCF properties to include parks and historic districts. Lynn Rex, speaking on behalf of the League of Nebraska Municipalities, supported the bill. The CCCF has funded an extensive number of community projects in smaller Nebraska municipalities since 2004, she said. Those projects are expensive, she said, and LB940 would enhance an important development tool. “This has been just an extremely valuable program for municipalities across the state of Nebraska, especially since the Legislature no longer provides state aid to municipalities,” Rex said.